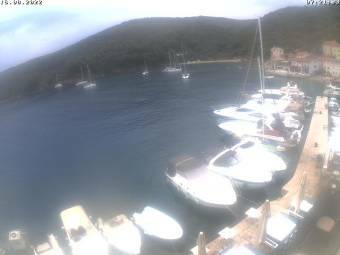 It's 14:56 in Valun (Cres), Croatia right now. Cres: View of the Adriatic Sea, 3.3 miles away. Cres: Weathercams, 3.3 miles away. Cres: Ferry Port towards Krk, 3.3 miles away. Martinšćica (Cres): Marina Martinšćica, 5.9 miles away. Martinšćica (Cres): View from the Hotel Zlatni Lav, 5.9 miles away. Sveta Marina: Panorama Sea, 13.3 miles away. Krk: Old Town and Harbor, 13.5 miles away. Krk: Livestream Marina Krk, 13.5 miles away.